Jared Padalecki and Jensen AcklesJared Padalecki is an American actor who has become famous after his roles in the well-known youth series. The mystical series Supernatural where Padalecki performed the main character for 12 years played a particular role in the actor’s creative biography. Jared Padalecki was born in San Antonio situated in the State of Texas. Actor's father Gerald Padalecki was a tax collector and his mother Sharon Kemmer was a teacher. In his family there were three more children: except for his their middle son Jared, Sharon and Gerald have an elder son Jeffrey and a younger daughter Megan. Since the age of five, Jared attended James Madison comprehensive school. When the boy turned twelve years old, he began to participate in the additional course of acting skills as he enjoyed taking part in the school performances, and the theater became his hobby. In 1999 when the young man just turned seventeen years old, Jared took part in the contest "Claim to Fame Contest" which was a Texas version of the program Planet Hollywood. He has managed to win this competition. As the award for his victory in this contest the guy got a possibility to go to Los Angeles to give out the awards at the annual ceremony of Teen Choice Awards. It was there that Jared had met a couple of the agents who offered the young man to try himself as a professional actor. Even though the University of Texas has already enrolled Padalecki to its ranks, Jared has accepted the offer of one of the agents and stayed in Los Angeles. The same year 1999 the young actor played the supporting role of Matt Nelson in the sports family picture about baseball The Little Inside. 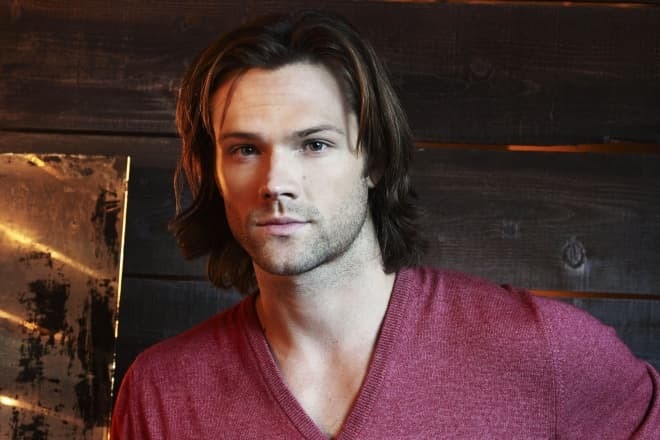 The experts liked Padalecki’s acting, and already in the next film, the young man performed the leading role. It was an English TV movie Silent Witness. During the next years, Jared took part in a couple of the little-known dramas, such as Close to Home, A Ring of Endless Light and Young MacGyver. Moreover, Jared Padalecki got small roles in the horror movies Cry Wolf and House of Wax, the adventure drama Flight of the Phoenix and the youth comedy New York Minute. The actor got little episodes in the comedy picture Cheaper By the Dozen and the series America's Next Top Model. Nevertheless, the series appeared to be the key to the actor’s popularity. 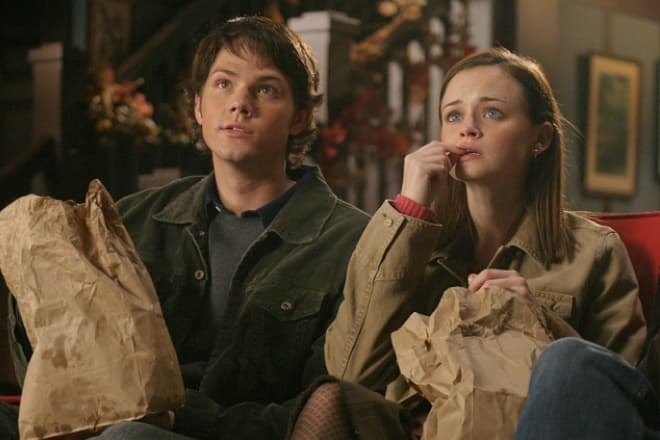 At first, the TV spectators paid attention to Padalecki after his role of Dean Foster in the successful series Gilmore Girls in which he participated for five years and also in one of the episodes famous series ER. In 2005 when there was released mystical fantasy series Supernatural, the actor has reached the peak of his popularity. In this series, Jared performs one of two leading roles – the hunter for evil spirits - Sam Winchester, the junior of two brothers who are searching for their missing father. The part of his brother was performed by Jensen Ackles with whom Jared has become good friends. The brothers - hunters drive across the USA in their the Chevrolet Impala car and clean the cities of vampires, werewolves, demons and more exotic undead. This series is of the entertaining fantasy genre, but the serious topics are issued in the Supernatural as well, for example, the problem of intolerance or human cruelty. The characters find themselves in the situation when they have to make the difficult moral choice. The role of Sam Winchester is profound and psychological for the show of such kind. The young man has a demonic talent, and he has to fight against the evil inside himself. It’s noteworthy that Ackles and Padalecki are the only actors, who managed to take part in all 12 seasons of the series and appeared in all the episodes. Because screen brothers together appear in the shot, the fans got used to compare the appearance of the actors. Jensen Ackles confessed in one of his interviews that he was tired of answering the questions of his supposedly low height. Jensen is 185 cm tall what is impressive but in comparison with his "younger brother," he looks like a tiny man, as Jared's growth is 197 cm. Misha Collins has approached the record of the leading characters of the movie by the number of the episodes in which he had taken part. 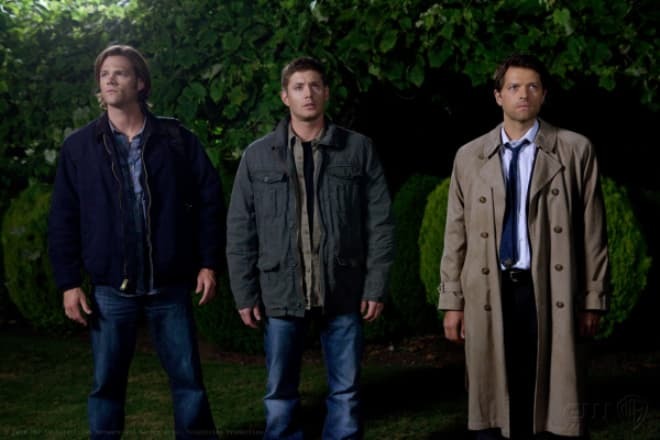 The actor's role - an angel Castiel appeared in the first episode of the fourth season and since that time he joined the major characters almost in each fragment. At the same time before the beginning of the shootings, Collins even didn't know that he would get the role of the angel. To keep in secret the plot twist the producers announced the audition for the new demon though there was plenty of them in the series. Castiel was supposed to appear in the six-serial plot arch, but later Collins's roles became more prominent because of his fans’ support, and the angel was included in the list of the significant characters. After the participation of the first angel in this mystical series, the plot of Supernatural was tightly intertwined with the Biblical themes. The angels, Leviathans and even the Horsemen of the Apocalypse have appeared in the series. Besides the participation in the series Supernatural which continues till the present time, the actor took part in a couple of full-length pictures. In 2007 he played an episodic role in the thriller House of Fears, and his name even didn't appear in the titles. In 2008 Jared performed the main character in the biographic movie Christmas Cottage dedicated to the well-known American artist Thomas Kinkade. In 2009 there came out the feature movie with Jared Padalecki - a horror movie Friday the 13th in which he acted in the leading role of Clay Miller who was searching for his missing sister. Padalecki has been nominated for Teen Choice Awards for three times: in 2003 he received the nomination for his role in the series Gilmore Girls, in 2005 he got it for his part in the movie House of Wax and 2007 for the leading role in the famous series Supernatural. All three times Jared was nominated for Best Drama Actor, but unfortunately, he didn't win any awards. In 2007 Jared tried himself as a TV host. The actor has hosted eight releases of the prank show Room 401 in which the guests of the show found themselves in the live horror films directed particularly for them. The same year the TV programme was closed. In 2008 Jared Padalecki got acquainted with the actress Genevieve Cortese on the movie set of the series Supernatural. After two years of courtings, the actor proposed to his beloved woman in the New York's Metropolitan Museum of Art in front of the painting, "Joan of Arc," by French realist Jules Bastien-Lepage. The young people married in February 2010, and the wife took her husband's surname after the wedding what is quite a rare thing in the families of celebrities. In the titles of the new movies, the actress already appears as Genevieve Padalecki. Two years later the spouses became parents: in March 2012 their son Thomas Colton Padalecki was born, and in 2013 Genevieve gave birth to their second son Austin Shepherd Padalecki. On the 17th of March, 2017 the third child was born in their family – their daughter Odette Elliott Padalecki. The family has settled in their country house in Austin, which is situated in Texas. It’s interesting that the family of Jensen Ackles lives in the neighborhood. Jared regularly shares his ideas and thoughts with his fans on Twitter where the actor has 2,7 million subscribers and publishes photos and videos on his verified Instagram account with 3,5 million subscribers. The actor leads his accounts in the informal style. He tells about his first grey hair, uses smiles and Internet slang. In October 2016 there was released the 12th season of the series Supernatural in which Padalecki performed the leading role as well as in previous seasons. On the 8th of January, 2017 the CW channel announced that the series would be prolonged for the 13th season.